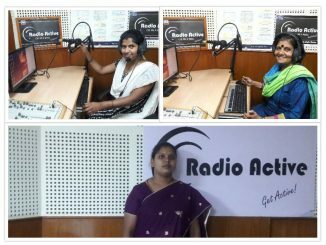 RJ Priyanka and Geetha Menon of Stree Jagriti Samiti interact with some women domestic workers to understand more about their demands for basic things like ID cards, monthly pensions and humane treatment. These women were protesting at Karmikara Bhavana recently. Geetha Menon spoke with representatives of Gruhakarmikara Hakkugala union which has been working with domestic helpers, both part-time or full time. Their demand is that domestic workers be treated in a humane manner and be considered as service providers not servants or slaves. They talk about harassments and disparities. Samajika Bhadrata Mandali (for promoting Social Security facility) was established in 2011. Valentine’s Day now takes on a meaning much larger than what it was intended to be. Anoo Bhuyan tracks the recent events that lead to today’s One Billion Rising in Bengaluru.